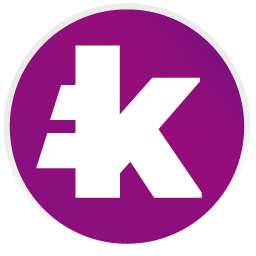 The threshold is a conditional block that is triggered whenever the price is above or below the xMA(L) depending on which trigger you chose. xMA = The kind of MA you selected. MA type can be SMA, EMA, WMA, SMMA. Analysis Period is the period that xMA will take into account (If you choose 4H, xMA will use 4H candles). Length is the Number of candles calculated. Price Position can be Above or Below. Deviation Threshold is the minimum Percentage at which the price needs to be compared to the xMA to trigger the block. 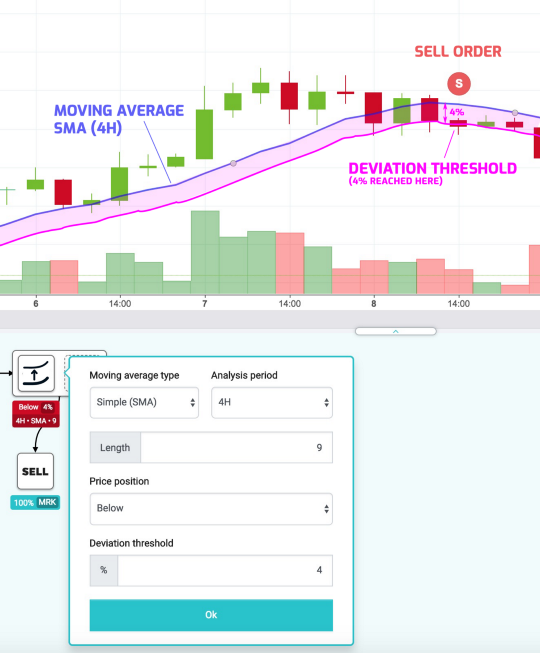 In the following example, we are gonna BUY 100% when the price is 4 % above the EMA(9)4H and SELL 100% when the price is at least 4% below SMA(9)4H. 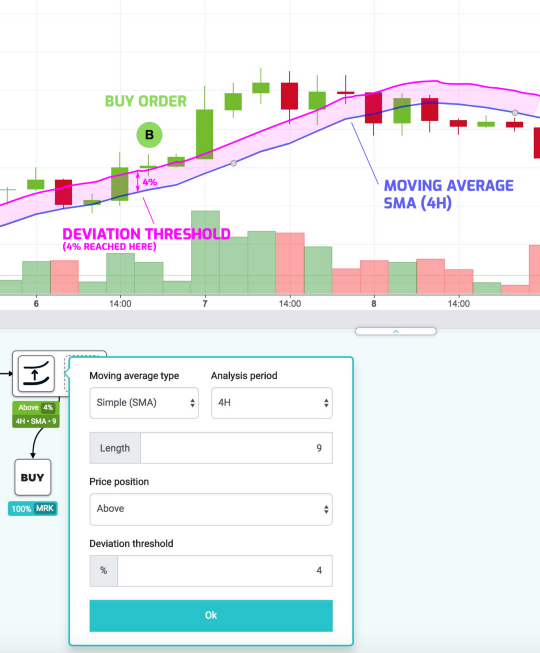 As you can see, we bought when the price was 4% above the SMA(9) and our sell triggered when the price was 4% below the SMA(9).